The first three years of life are the primary time when neuron connectivity happens in the brain of each child. Most people do not know how important those years are to every child. Far too many children fall behind because we have not taught that information in useful ways to the people who care for and who care about each child. This website is intended to fill that learning gap for anyone who does not know that information now and who wants to help create a better life for a child. We know that when you talk, read, play, count and sing with a child directly in caring ways in those first years, neuron connectivity happens that last for life and benefits children forever. Learning gaps disappear when children have people talk, read, and sing to them in those first golden years. We now know that the basic biological process and the functional timetable is the same for children from every group and every economic status. Brain construction processes are at work in each child in those first key years—and the newest, best informed, and most enlightened medical and genetic science now tells us that the children whose brains are directly exercised in those years have stronger brains. Those first three years are when neuron connectivity happens for each and every child. We now know that the connectivity level of the neurons for each brain is strengthened or weakened in each brain based on the life experience of each child. That overall neuron connectivity process for each child changes at roughly age four—and we now know that it is much harder to make major progress in key areas of brain structure after that age. The process in the first three years is simple. Children who are isolated in those key years and who do not have direct adult interactions simply do not build the connections that create strong brains. But the children who do have adults who talk to them, read to them, play with them, count with them, and do musical things with them build both emotional security and stronger learning skills. Those children have much richer sets of neuron connections and they tend to do better in all of the measurements we use in our schools. The biological reality is that roughly ninety percent of a child’s brain is developed by age three. Parents, family members and caregivers can all do the things that need to be done to strengthen brains in those first key years. Direct interactions are golden. Every time you interact with your child directly, millions of neurons are forming new connections in their brain. Some people believe that education begins at kindergarten. They could not be more wrong. Education absolutely does not start at kindergarten. That basic and foundational educational brain building process for each child actually starts at one day old and the brain building process is already going at full strength in the first weeks and first months of each child’s life. Just like muscles need exercise to grow stronger, your baby’s brain gets stronger when it is exercised. The things that can be done to create strong brains are pretty basic. 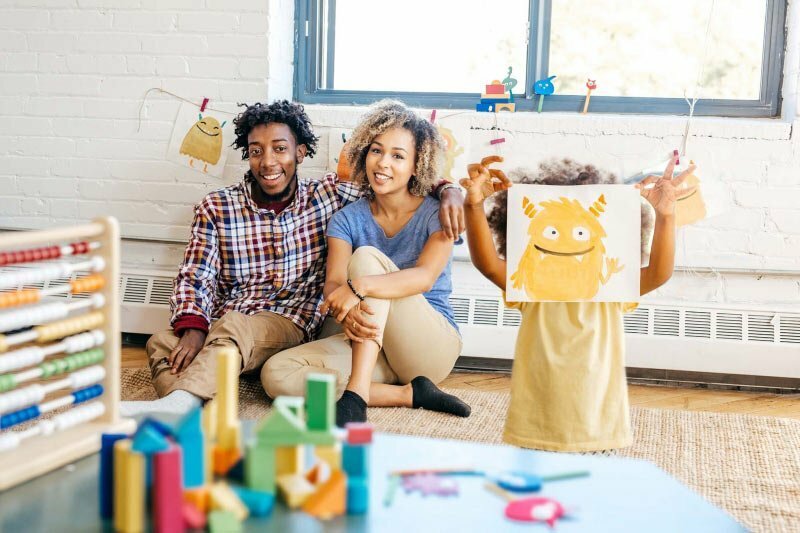 “FUN”damental activities like talking, reading, playing, counting and singing to your child each contribute to the essential building blocks for your baby’s brain. Exercising your baby’s brain in those first days, weeks, months and years of life builds a stronger brain, and that can give your child a good path to a happy, healthy and successful life. It is a wonderful opportunity—and we need to teach that opportunity to every parent and every family. Engaging directly with your baby every day in any of these activities will help your child’s brain to develop billions of robust and functioning neuron connections that they will take with them through life. We truly do need every parent to know that information. We need all adults in families, communities, educational systems and day care settings to understand the roles each can play to strengthen every child’s brain in these Three Key Years. The “Three Key Years” book has chapters for parents, caregivers, family members, community leaders, policy makers and educators that help each of those groups understand both the science and the relevance of the science to their profession or role. We built this website to help people who care about children in those first months and years to have both information and tools that can be used to help each child. Explore our site for a constantly renewing bounty of resources and information that will help you to understand what you can do in the first days, weeks, months and years to give your baby a strong brain for life and that can point you to things you can do directly to help your child. Let us know what we can do to provide more help or more information for your child and please share this information with anyone who either has a young child or is about to have a young child. Now that we know this wonderful new science, it would be a shame to have it go to waste and only be known and used by professors and research teams and medical scientists. It is sad—and even a bit disrespectful—not to teach that information about early childhood brain development to every family and every parent. This website is intended to help do exactly that. Enjoy the website and the process–and know that what you are doing to help your child not only feels good to you, it also builds really important and positive tools that your child will use for life. It is hard to find a better gift to give your child.